You may be wondering “Should I sell my home during the holidays?” Perhaps you think it’s better to wait until the New Year or springtime to sell your home. Of course, choosing a time to sell your home is a matter of personal preference or sometimes even necessity. Although traditionally, less people have chosen to sell their homes during the holidays because they thought there would be fewer buyers in the market. What you might not know is, a lot has changed, and the holidays might just be the right time to sell your home! The warmer climate in Lakeland, Florida during the winter months along with the influx of snow birds most certainly adds why buyers are in the hunt for a great home. Here are 5 tips to sell your home during the holidays. You aren’t the only one who has wondered if it’s a bad idea to sell your home during the holidays. A lot of homeowners don’t want the bother of listing their home and showing it during the holidays. With that said, that means home inventory is low during the holidays and your home will be in a prime position for those who are looking. If you chose to wait until spring to list your home you could be dealing with other homes that are very similar to yours, that are on the market at the same time. Therefore making it harder to get a buyer’s attention. Buyers who are looking to purchase a home during the holiday season are typically more serious. It could be for a number of reasons such as; tax purposes, a new job, wanting a fresh start in the new year or possibly buyers who have been in the market for awhile but haven’t found the right home yet. No matter what their reason, remember to make your home readily available for buyers to tour your home, whether it be online or in person. It doesn’t hurt to be open to negotiation on contract terms as well. Many Americans take vacation days during the holidays. Despite the fact that this can be a busy time of year for most people there’s still quite a bit of downtime. This can be good on two fronts. One, it gives you an opportunity to finish those last minute upgrades on your property. Second, you will have more flexibility to show your home during times of the day that most people normally would not be available. That means instead of waiting for the weekend or late evenings after work, you could show your home during the week and before the sun goes down! Home is where the heart is and emotions play a huge role the homebuying process. 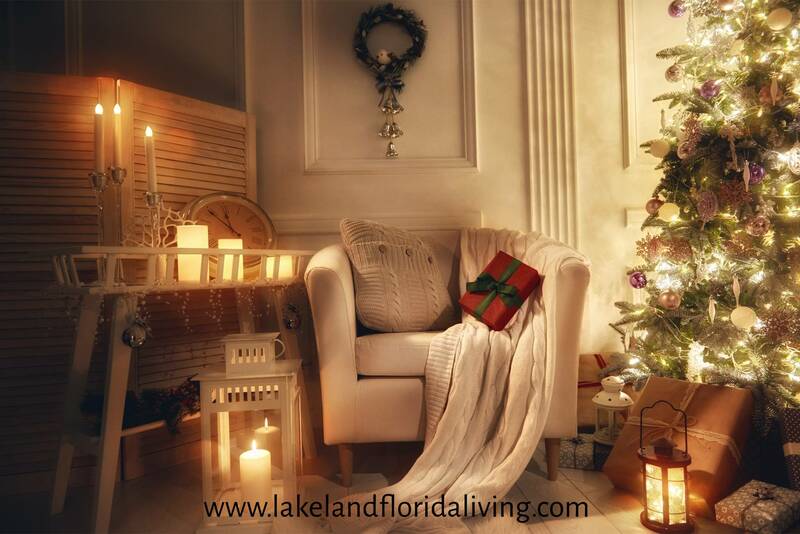 Capitalize on this by making your home a little cozier during this sentimental time of year. The right decorations and less clutter will let buyers picture their own families celebrating the holidays in your home next year. When you sell your home during the holidays, you could be dealing with buyers who need a quick closing. This could catch you off guard if you are not prepared. Have a backup plan of where you will be spending the holidays, and living if your home does sell quickly. This is something you will want to think about well in advance. No one needs added holiday stress, so knock out those “what ifs’ by being prepared! Are You Ready To Sell Your Home During The Holidays? Selling your home during the holidays does have it’s benefits. Thanks to reduced competition and motivated buyers you could end up selling your home very fast. Remember to keep decorations tasteful – don’t over do it. Who knows, you could go under contract for a better price than you had planned due to buyers feeling an emotional connection to your home. If you are looking for a real estate agent that knows how to sell homes during the holidays look no further than me, Petra Norris. As a Realtor that has experience selling homes during the holidays, you can rest easy knowing I will be aggressively marketing your home and playing up the spirit of the season.